TELUK INTAN, April 18 (Bernama) - Prime Minister Datuk Seri Najib Tun Razak today performed the ground-breaking for the 1Malaysia People's Housing (PR1MA) @ Teluk Intan project comprising 957 residential units at Batu 4, Jalan Changkat Jong, here. The RM232-million project is expected to meet the needs of the M40 (middle 40 per cent) income group in Teluk Intan. The single-storey and double-storey houses, costing between RM185,000 and RM250,000, are all scheduled for completion in 2020. The first phase comprises 523 units of single-storey houses that cost not more than RM200,000 per unit. PR1MA chief executive officer Datuk Abdul Mutalib Alias, in his speech at the event, said the project was in a strategic location, adjacent to Universiti Pendidikan Sultan Idris (UPSI), and the first phase was expected to be completed by the end of this year. "The project will help improve the socio-economic status of the local population," he said. Perak Menteri Besar Datuk Seri Dr Zambry Abd Kadir and Plantation Industries and Commodities Minister Datuk Seri Mah Siew Keong, who was the Teluk Intan MP in the last parliament, were also present at the event. 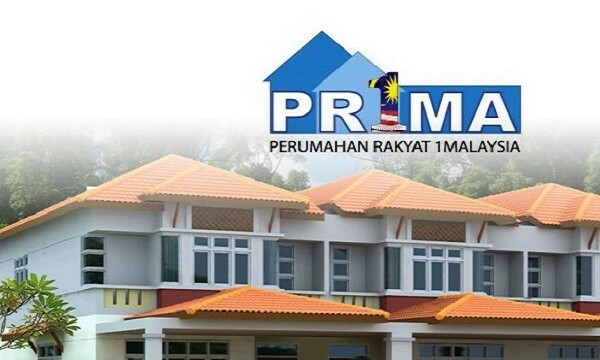 It is learned that about 6,000 people have applied for the PR1MA @ Teluk Intan housing units. After the event, Najib proceeded to Kuala Kangsar to attend a meet-the-people session at Dewan Jubli Perak.